In the late seventies, when Dylan turned to evangelical Christianity, outraged fans and critics alike took issue with the music and the man. Though the so-called Christian albums were deemed by most to be sub-par they were also, not surprisingly for Dylan, rather “on-trend.” As R. Clifton Spargo and I have written in an essay in the forthcoming Cambridge Companion to Bob Dylan, this was music marking a moment in time, in Dylan’s life and the nation’s. 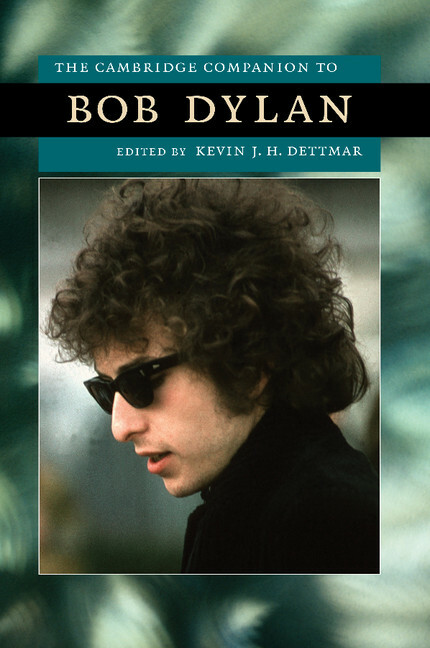 The post-Watergate hunger for redemption and institutional rebirth that led to the election of Jimmy Carter, our nation’s first avowedly “Born Again” president, was implicit in Dylan’s restlessness. And for all of its sometimes ponderous moralizing, Dylan’s “Christian” music, like his sixties-era work, was characterized by an important constant: his critique of the market and its manipulators. The title track on 1979’s “Slow Train Coming” has all of the qualities of classic Dylan narrative, as he sings about a new generation of bureaucrats and business leaders who, much like his “masters of war” from the 1963 classic, are described as “[m]asters of the bluff and masters of the proposition” — a rather apt descriptive of more than a few practitioners of advertising, by the way. Throughout Slow Train Coming Dylan anticipates the humbling of the hubristic. In its opening track, “Gotta Serve Somebody,” he wags his finger at the powerful and self-promoting: ambassadors, heavyweight champions, business men, TV network executives, televangelists … a laundry list of confidence men made modern. Dylan’s subsequent Christian albums, Saved (1980) and Shot of Love (1981), reliably tell the stories of those without social or economic power — the “meek” of biblical lore — contrasting their economic and spiritual purity to an indifferent corporate establishment. What’s more, Dylan’s late seventies conversion to Christianity pre-dated the emergence of America’s “religious right,” and the post-1980s Republican coalition that brought together big-business conservatives and pro-life moral values Christians like Jerry Falwell, Gary Dobson, and John Hagee. This religious right came to publicly embody, for most Americans, the modern Evangelical movement. But it was not the movement that Bob Dylan had joined, and not the brand of faith most often reflected in his music. Though Dylan seems to have stepped away from his deep, or at least public, engagement with Christianity prior to the rise of the religious right, the trajectory of his own career from the nineties onward still seems to parallel the pro-business path taken by many American evangelical and fundamentalist Christians.